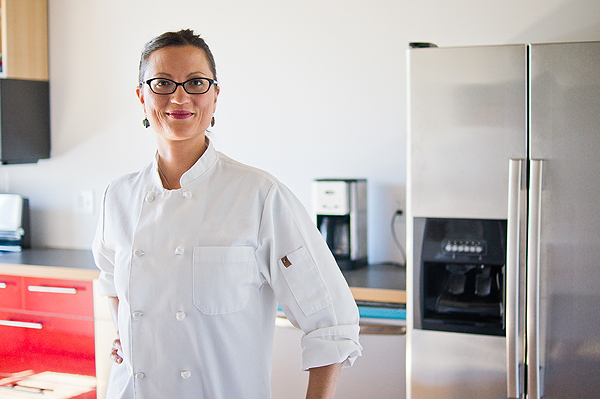 I’m Jen Fanega, Natural Foods Chef & Educator. I provide personalized, hands-on healthy cooking instruction and food consultation services to people making the switch from the Standard American Diet to one that is health-supportive and built on whole, plant-based ingredients. I do not promote any one way of eating, but instead stress the importance of fresh, whole, unprocessed, balanced foods. Have you or a family member been diagnosed with a food sensitivity or food allergy to nuts, gluten, wheat, dairy, eggs, casein, etc. and now need help figuring out what to eat? Do you have Diabetes, High Blood Pressure, Celiac Disease, Crohn’s, Ulcerative Colitis, Irritable Bowel Syndrome (IBS), Inflammatory Bowel Disease (IBD), GERD/Heartburn, Leaky Gut Syndrome or other digestive disorder, making it hard for you to tolerate certain foods? Are you overweight or obese and tired of dieting and getting the same old, predictable, unsuccessful results? Let me teach you what it means to truly “eat healthy” in a way that is simple, realistic and enjoyable. If your doctor or health practitioner has recommended dietary changes that leave you feeling confused, overwhelmed and stressed out, let me guide you through incorporating those new foods into your life so you can become your healthiest self. My focused yet easy-going approach will help you to make step-by-step, effective and long-lasting changes to your way of eating while feeling supported, confident and guilt-free. Click here to learn more about me or use the contact box below to set up a Complimentary Consultation. Jennifer Fanega offers natural foods education and cooking instruction in Philadelphia, Pennsylvania and focuses on local, sustainable, healthy, plant-based foods.